The soon-to-be-revealed Sandy Bridge chip from Intel will offer customers a little something extra: new-release movies that will be streamed to computers using the super-chip. Warner Bros is among the Hollywood studios planning to offer high-definition films via Sandy Bridge, with Intel working to strike deals with other content distributors. Films will be available at the same time as they are released on DVD and the chip comes with built-in DRM to prevent pirating of the streamed content. 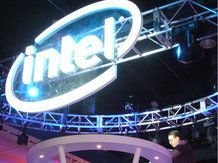 By wooing Hollywood with its protected premium content option, Intel hopes to differentiate itself further from competitors and make chip choice more important to the PC consumer and movie studios alike. Intel's Sandy Bridge CPU promises improved multimedia processing and, because the central processing and graphics processing are done on the same piece of silicon, it is said to be faster and more efficient than previous iterations. The long-rumoured CPU was recently shipped to manufacturers and is set to be officially revealed at CES this week.